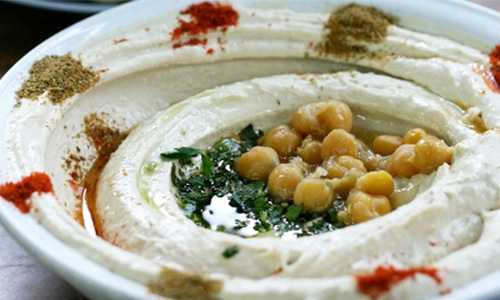 Have you ever heard someone say, “Ewww, I hate hummus”? There can only be one explanation – they’ve never really tasted authentic hummus. Let’s face it; there are a lot of imitations out there. But if you use the right recipe and a good hummus machine, you won’t hear those types of comments ever again. In order to fully utilize your hummus blender and produce optimal results, you have to have premium ingredients and the best recipe. People in the States who are used to the kind of hummus they eat in the Middle East, long for something similar that takes their taste buds on a journey back home. Nothing does that quite the same as fresh chickpeas processed to the perfect consistency in a hummus machine. The right hummus blender, along with the right recipe, will satisfy these sojourners like nothing they’ll find on the shelves of grocery stores or even ethnic food stores. Fresh made can’t be matched. When you’re longing for what you’d find at Lina Hummus or Abu Skurki Hummus, just follow this recipe and use your hummus machine to produce exactly what you’re craving. Then share your hummus with your friends. Without a doubt, they’ll be back for more! Olive Oil and parsley for decoration. The chickpeas should be placed a container, fill it with water and let it sit for 14 hours. Switch the water every 7 hours and wash the chickpeas. Put the 1 tablespoon baking soda in the water. After soaking for 14 hours wash the chickpeas and put them in a pot to boil. Put 1 tablespoon baking soda and boil for 1 ½ to 2 hours. You can also choose to use a pressure cooker for faster results. 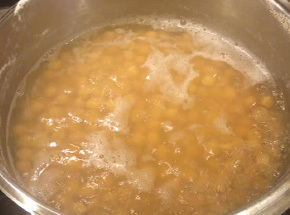 Make sure to remove the foam and peel of the chickpeas from the water. Make sure you skim the peel from the Chickpeas after boiling it. Let the Chickpeas cool down otherwise your Hummus will turn out yellow in color. A good quality Tahini is a key. Add 4-5 pieces of ice on top of the chickpeas prior to blending the chickpeas in the Hummus machine. It helps with the color. Save 1-2 cups of the water used to boil the chickpeas. Save some solid chickpeas for decorations. 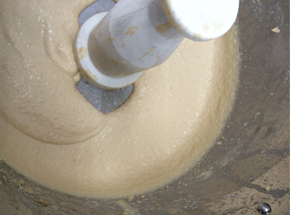 Put the chickpeas into the Hummus blender. Add the Tahini and all the other ingredients. Add ½ cup of the water saved from the Chickpea boil. If the Hummus is too thick add more of the water.